Pigeon Post was a regular mail route that delivered mail using homing pigeons. These birds have an almost uncanny ability to be able to find their way to their home nest from almost anywhere, even from more than 1,000 miles away (which has happened in special competition racing). And they are quite quick about it. A moderate flight is regarded as something around 500 miles, and they say that the birds do it at an average of about 50 miles per hour. The routes for the pigeon mail carriers were normally not as far as 500 miles, but it seems to have been quite a reliable way to send messages. We have probably all heard of carrier pigeons used during both World Wars to send messages over enemy lines. These were legitimate information carriers, and some of these pigeons were even later awarded medals (I hope these medals were not too heavy or it would have been difficult for the birds to fly). Even in the invasion of Normandy in the Second World War, pigeons were used to carry vital information, since it was feared that the Axis forces would intercept radio transmissions. 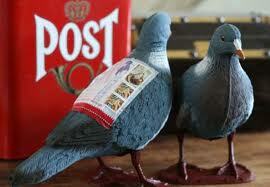 However, the postal system here in New Zealand used the pigeons long before this and even before the First World War. But it actually was another tragedy other than war that prompted the first use of the birds. Back in the year 1894 there was a shipwreck of the Union Steamship Company on a smaller island off of the North Island of New Zealand. Of the 235 people on board the ship, 121 of those perished in the tragedy. The few families living on that island at the time worked heroically to come to the aid of those survivors, but they had no way of communicating with the mainland to tell them of the disaster. Even before this time, the islanders had felt isolated, but this experience only served to emphasize the fact that they were really cut off from the rest of the world. In those days, there were no telephones to that island or any other form of communication with the mainland. Since these flimsys were the only way of communicating with the main town, many of the messages sent were simply shopping lists to be sent on the next steamer or for timber or hardware. But it was also the island people’s way of receiving news. It was often how they found out about election results or major news events in the world. Once, when young Charlie Osborne had a serious medical condition, a message was sent for a doctor to come from Auckland, a visit that saved the boy’s life. The pigeon post office that my friend was telling me about was in the town of Brookby and is near where his farm is located (The town name is pronounced brook-bee and named so because it is by the brook). Somehow this post office once fit into the pigeon postal system, but my educator was unsure just how it worked. Since Brookby is east of the main city of Auckland, he speculates that this was a stopping off station for the pigeons after their flight across the large body of water called the Firth of Thames. From Brookby (according to his speculation), the flimsys were transferred to other pigeons to bring them the rest of the way to Auckland, much in the same way that the pony express worked, but using pigeons instead of quarter horses. 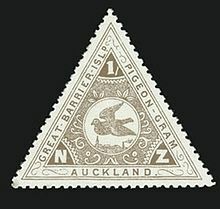 The New Zealand Pigeon Post was terminated in 1908 when a telephone wire was laid from the Coromandel Peninsula of the mainland, through the seabed and to the island. 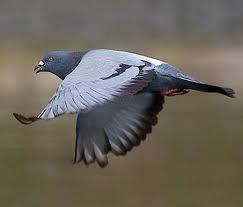 But even after this, several places in the world adopted the pigeon postal system when conditions merited it. In fact, it was only in 2002 that the Pigeon Message Service of the Police in the state of Orissa in India retired, due to the expanded use of the internet. But sometimes even the internet cannot compete with the pigeons. In South Africa in 2009, 4GB of information was sent overland by two methods, one by the use of the country’s largest internet provider, and the other by use of a memory stick connected to the back of a carrier pigeon. The distance over which the information was sent was 50 miles, and information in each case was the same. The pigeon made the journey in one hour and eight minutes, and by the time the people got the memory stick off of the pigeon and downloaded onto the receiving computer, the total time elapsed was two hours, six minutes, and 57 seconds since the time the bird took off from the sending office. And the information sent over the internet? In the same length of time, it had only downloaded about 4% of the total information. So there you are. Some more information that is unrelated to what we are doing here in the Pacific, but interesting nevertheless. If you have pigeons hanging around your farm at home, you had better take a good look at them. They might have a flimsy for you.